NorthStar provides its clients with premium quality music content for any visual and/or audio project. We also contribute by creating a successful environment where artists can achieve long-term creative and financial success. Furthermore, NorthStar is engaged in both the recorded music business and the music publishing business, and offers a substantial one-stop clearance catalogue containing a comprehensive list of cleared masters. NorthStar has grown to become a respected global music provider through long-term relationships with industry majors and sub publishers, and has been instrumental in creating value and opportunity for its clients, artists, partners and investors. During a time of dramatic industry transition, we have established ourselves as a market leader and are fully dedicated to our mission: always give our clients more than they expect. 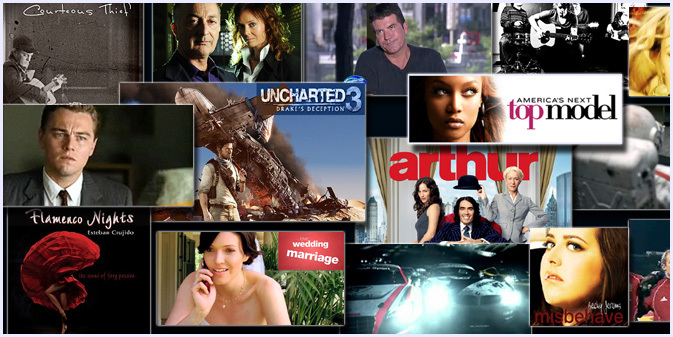 A superb range of titles available for film, television and advertising. If you're looking for something specific just email info@northstarmusic.co.uk and we'll be happy to help. Just tell us what you need and we can send MP3's immediately. Or of course, browse the STOCK MUSIC web site. NorthStar have produced a fantastic selection of Life Style titles covering every genre. They include Classical, Easy Listening, Jazz, Celtic, 15th and 16th Century and World Music. They are published and distributed world wide and available on iTunes and Amazon. They are also available for one-stop clearance sync licensing. Music Supervisors click HERE to listen to tracks by category. We have been writing film and television music for over 20 years and have the experience to produce exactly what a client needs. 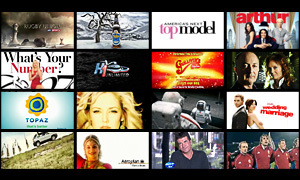 Look at "Watch" and "Listen" above for some of the major productions we've produced music for. Just call or email and tell us what you need. NorthStar can supply orchestral works from over seventy famous composers. NSM can offer a huge, fully cleared catalogue of orchestral works by Beethoven, Mozart, Bach, Wagner, Haydn, Brahms, Schubert, Tchaikovsky, in fact seventy of the worlds great composers all recorded in Prague and London. If you need high quality classical recordings for film, television or audio visual contact us now.